James Vargas showcased; with David Mann, Jesse Cook, Jim Adkins, Queen Latifah, Steve Barakatt & A Peter White New Year! Featuring the Smooth Groove of Today's Jazz! Our final show for 2004. What can I say except wow! It's a fantastic program from beginning to end and one that is a fitting finale for a year filled with incredible music. Included on this edition are past favourites from Marc Antoine, Marcos Ariel, Nestor Torres, DTTB, Tim Heintz, & Igor, the smooth saxman out of Australia. There's an incredible track from SOS that has never before been played on our show together with current faves by Demo Cates, Shades of Soul, The Benoit/Freeman Project, and Soul Ballet. I've also included music from Terry Disley and one of the finest debut albums of the year. Another debut artist, James Vargas, is the subject of our show case feature and the Fresh Trax segment ranks among the best that we've ever done. Oh yes. 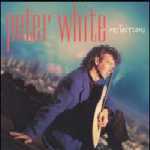 If you're a fan of Peter White, you may wish to check out "A White New Year" on the After Hours portion of the show. You won't be disappointed! As a schoolboy, Vargas was a head chorister. Nevertheless, he developed a disposition for rock, jazz, & soul. He discovered the clarinet in his youth but later fell in love with the sax when a friend introduced him to that instrument. That soon became his course in life. To gain experience he busked on streets throughout Southern England and toured much of Europe with just a sax and a suitcase to his name. Once he arrived in Paris, Vargas thrived. He lived in that city for a three year period, a time that no doubt contributed greatly to his sensitivity as a player. Upon his return to England, James became a regular at the Bourbon Street Blues Café in London's West End. It was there that he met up with keyboardist Oliver Silk. Silk & bassist Danny Sugar were about to release a compact disc as Sugar & Silk and asked Vargas to take part. Working with the pair gained Vargas some much needed exposure and in the course of events, led to he release his own self-titled debut. On the album, Oliver Silk returns the favour. He appears on all the tracks, shares in the writing credits, and produced the project. The result is a highly impressive first effort, groove laden and loaded with catchy melodies, and it has generated a fair bit of interest for a debut release. For one, it attracted the attention of Art Good, host of the Catalina Island Jazz Trax Festival, who invited Vargas to perform at that festival this past fall. It also "grabbed me" and prompted its inclusion as the subject of today's feature. 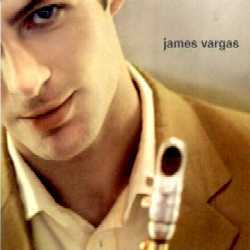 So, as we showcase James Vargas & his self-titled debut, we begin with One Fine Day. This is a highly evocative piece where rich soulful playing is brilliantly fused with jazzy melodies. Lasting Impression, my favourite, kicks off hour 2 and Speakeasy caps it all. A former member of Tower of Power, Mann enjoyed a three-year stint with the legendary group in the early 90s and has also played along side Sting, James Taylor, and Billy Joel. In addition to becoming a veritable fixture on the smooth scene in NYC, Mann has written for and produced many top artists in the genre. They're too numerous to mention here but the list includes Nelson Rangell, Nestor Torres, Steve Cole, Kim Waters and Wayman Tisdale among many others. He's worked with Chieli Minucci on several occasions and his unique sax work has been featured on hits from Club 1600 and Special EFX. David has more or less become a permanent member of that latter band. Way back in the late 80s, Mann recorded a pair of projects with another cd that was issued in 2001. 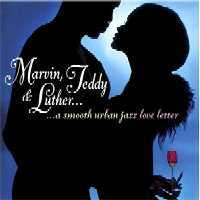 The latest release to showcase his talents is Marvin, Teddy & Luther, a recent tribute album complied by Shanachie records. From that project we have David's superb cover of the seductive Marvin Gaye classic!. Since the release of his first compact disc in 1995, Jesse Cook has taken "Worldbeat Music" by storm. Canada's ambassador to flamenco & Rumba has released a string of highly successful albums wherein many diverse elements from new age, jazz, and pop are masterfully blended into a tasty exotic dish. Each endeavours to capture the drive and energy of Cook in concert, which must be seen to be believed. In that regard these have been quite successful. However, this entire experience has just been kicked up a notch. After all, what better way to secure it all than by catching it as it happens with a live recording. 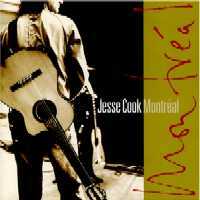 Recently released is Montréal, now Cook's sixth album and first project in a live setting. It was recorded this past summer during Le Festival International de Jazz de Montréal at the Metropolis Theater. From that effort we have the appropriately titled Jumpstart! 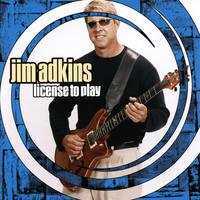 Jim Adkins is an award winning songwriter and guitarist from central Virginia. Early in his career, Adkins played and recorded with a regional rock act. Over the years, however, Jim became more interested in Smooth Jazz and instrumental music. In 1998 he released his solo debut which drew a fair bit of interest on mp3.com. Then in 1999, he won second place in a Billboard song contest in the jazz category. That prompted the selection of that track over 50,000 others and it's inclusion on an MP3 compilation, 103 of the Best Songs You've Never Heard. This all paved the way for Adkins' sophomore release in 2000, and the subsequent deal that he landed with Positive Music, the label operated by Ken Navarro. It's been a few years since that last release, but just issued is License to Play, Adkins' latest & now his fourth solo effort. The recording is a solid outing, highly polished and packed with upbeat melodies that put you in a great mood. Even more impressive though, is Adkins' playing, a delivery that is impeccable with a rich & inviting tone to match. 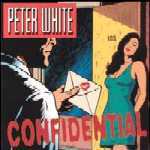 On this edition we feature the disc's opening track and one that well musically foreshadows the listening treat that is yet to come. Now what's a bona fide female rapper with a somewhat tragic and checkered past doing on a nice show like this? I guess the answer quite simply is, providing us with incredible music! She was born Dana Owens, but when she was eight her cousin nicknamed her Latifah, meaning sensitive or delicate in Arabic. Queen Latifah broke onto the hip-hop scene back in 1988 when she was only 18. Fueled by personal tragedy, (she was the victim of a carjacking and her brother died in a motorcycle accident) she became the first female rapper to ever go gold with the release of her 3rd album in 1993. By this point in her career, Latifah had already begun to branch out. She appeared in a couple of movies and in the hit series The Fresh Prince of Bel Air. Despite running afoul of the law on a couple of occasions, her acting career continued to fair quite well and culminated in a nomination as Best Supporting Actress for her performance in the movie Chicago. 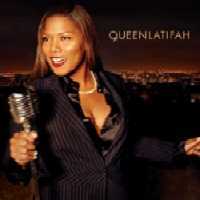 Earlier this year, Latifah recorded The Dana Owens Album. On the effort, she takes on an unlikely collection of covers that range from pop, to blues, to soul and span a 40 year period from the 30s to the 70s. Included on the album is a tune that was first recorded by Dr. Buzzard's Original Savannah Band, a disco big band, and appeared on their self-titled debut in 1976. From The Dana Owens Album, I've selected Hard Times on which, Latifah's expression and phrasing is incredible. This is easily one of the best tracks for the year and one that features Ms. Owens at her finest! An accomplished composer & pianist, Barakatt was captivated by the charm of music when he was four. He studied classical music for ten years and then switched to jazz. However, it became clear early on that this young French-Canadian was no ordinary talent. 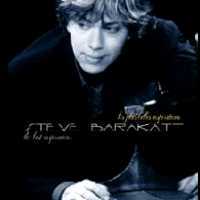 When he was just thirteen, Steve performed as guest soloist with the Quebec Symphony Orchestra. He released his first solo record the following year and now has numerous projects to his credit. A genuine music lover, Steve enjoys exploring a variety of styles and has toured extensively. He's composed dozens of scores for both television and film and is also much in demand as a composer & producer. The Best Inspirations, his latest release, is a deluxe cd/dvd package. It includes a collection of songs from six previously released albums, thus chronicling much of Steve's career to date, but it also provides a glimpse into the future as it also contains four selections from a forthcoming album. From The Best Inspirations, we'll experience the power & passion of California Vibes. 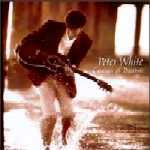 A White New Year ... actually that should be ... A Peter White New Year! Well here at last is the program that I have been threatening to make for so many years. 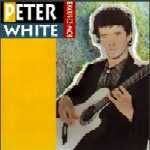 Now if you're a fan of Peter White, and who isn't, that phrase may have a familiar ring to it. I "borrowed" it from Peter's first album and turned it around to fit this occasion. 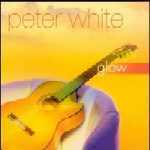 The idea for the project began with the thought of a show and playing Peter's music exclusively. Using A White Christmas as a title seemed just a bit too obvious a play on Peter's name. However, with this show just in time to celebrate the new year, I chose to combine a couple of ideas and came up with A White New Year! I know, very corny and very typical. I soon discovered that it was impossible to stop at just a one or two hour program. 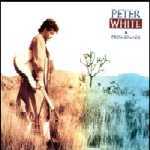 I had eight cds to choose from, many of which are included on our indispensable listening list, plus a long list of guest spots where Peter has done some of his finest playing. I had to draw the line somewhere as I could have easily developed this into a four or even five hour show. 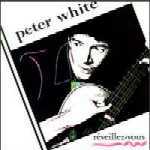 The result is this installment showcasing Peter and a total of 39 of his best tracks. Now don't be surprised! After all, back in the mid 90s I was the guy who drove over 1700 miles, from Winnipeg all the way to Gresham, Oregon and The Mt. Hood Festival of Jazz, just to see Peter perform live. 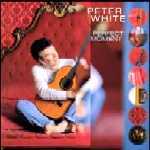 So for the very first time, we have a three part presentation of After Hours featuring A Peter White New Year !